The recording industry is one of the largest of all entertainment industries. Sales of audio and video recordings, professional and consumer equipment, concert tickets, and published music run into billions of dollars each year. Rapid growth has led to an increasing demand for people with specific knowledge of the industry and basic managerial and technical skills. It is this demand for which the Music Technology program at Calhoun Community College is designed. The purpose of this major program is to prepare students for entry- and middle-level positions in virtually any phase of the industry, from the marketing of recordings to audio engineering. The Music Industry Communications program was designed with consultation and advice from the college’s Mass Communications Advisory Committee. Calhoun offers the student in this program an opportunity to develop his or her talents in many areas that touch upon the recording industry. To enhance the student’s academic program, the college has a professional, digital studio on the Decatur campus. 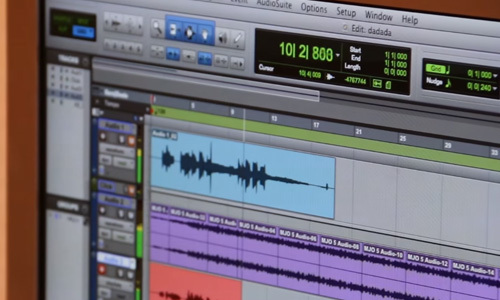 The recording concentration offers hands-on experience in analog and digital technology at Barnwood Studio, located in the college’s Fine Arts Building on the Decatur campus. It includes courses in Midi and Electronic Music. An internship program places students with recording studios, record companies, and a variety of other music industry locations throughout the southeast. The Music Industry Program offers the Associate of Applied Science degree. The purpose of this two-year degree is to prepare students for careers in the Music Industry that range from artist management to studio production. This program is for those interested in specializing in coursework which has application to the recording and publishing industries as well as to contemporary performance. Students are required to complete six credits of music performance electives and should consult a faculty advisor about this requirement. (see program card for core requirements). Calhoun Community College and Athens State University now have an articulation agreement where a student completing an associate’s degree in Recording Technology can receive a bachelor’s degree in Management of Technology from Athens State University.